I am a licensed Physical Therapist Assistant with 5 years of knowledge of anatomy and appreciation of functional independence. Working the past 5 years in a hospital setting I have gained much appreciation of the healing process of the human body. I am passionate about massage and I have been blessed to witness the benefits of therapeutic touch. I am a proud graduate of Pittsburgh School of Massage Therapy. 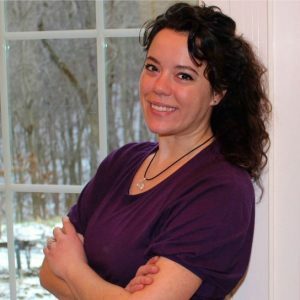 I am a licensed Massage Therapist and I own my massage practice, Touch of Nature, located in Sharon PA.
My intension is to create a safe space for each client to be in the present moment. With my gifts through massage I plan to raise the awareness of how one utilizes their body and aide in therapeutic relaxation. Each client will receive an individualize massage. Communication is one of my strong qualities to ensure comfort levels for each client. I look forward to assisting others at Infinity Flow Yoga Studio to gain self-awareness and relaxation. I look forward to meeting you! Blessings! Each massage will vary in pressure and techniques to individualize the needs of each client. Different techniques utilized in massages include: Swedish, myofascial, neuromuscular techniques. Offering 30, 60, 90-minute therapeutic massage for 1$ per minute. Reiki: Energy therapy of Reiki supports the body’s own natural ability to heal on a physical, emotional and spiritual level. 1$ per minute.